Scheduled to open in 2019, the Humboldt Forum with its collection of objects of non-European origin was conceived as a space of cultural encounter and understanding. But serious questions have arisen about how German and European cultural institutions are responding to critical questions about the restitution of artefacts brought in by colonialism. And many are asking if European museums should even be allowed to own and display cultural artefacts from other parts of the world. It will not be long before Berlin’s Humboldt Forum opens its doors to the public. To date the non-European objects in Berlin’s state museums were housed in Dahlem far from the capital’s tourist hotspots. As of 2019, they will be on display in a reconstructed Prussian palace. Berlin’s Museum Island with its extensive collections will become an impressive showplace of the world’s cultures, though the project is not without its detractors. The main point of contention is a new sensitivity on how to handle artefacts from the colonial period. A myriad of questions have arisen, such as how such objects can be displayed to do them justice, and just how they came to be in the hands of a European institution. There has been a great deal of controversy and discussion in recent years about how European museums should treat pieces from other cultures acquired under colonialism. In Germany, the Humboldt Forum is at the heart of this stormy debate. In 2017, art historian Bénédicte Savoy resigned from the Forum’s expert panel and expressed damning criticism. She equated the planned museum with the reactor in Chernobyl, claiming that the bloody deeds of the past were being hidden away under a mantel of lead. Savoy is an advisor to the French president, who recently announced sweeping plans to initiate restitutions, the return of cultural heritage to its country of origin, in the coming years. Provenance research can provide some insight into solving the puzzle. This relatively new branch of art history retraces the historical record of an object’s origins. The hope is that this background information could help determine which objects were legally acquired and which found their way into a museum’s collection through back channels. In 2018, the German Museums Association released a guide on how to handle objects from the colonial period. In these guidelines, the authors went out of their way to specifically state that there was no legal basis for returning contested objects in most cases. 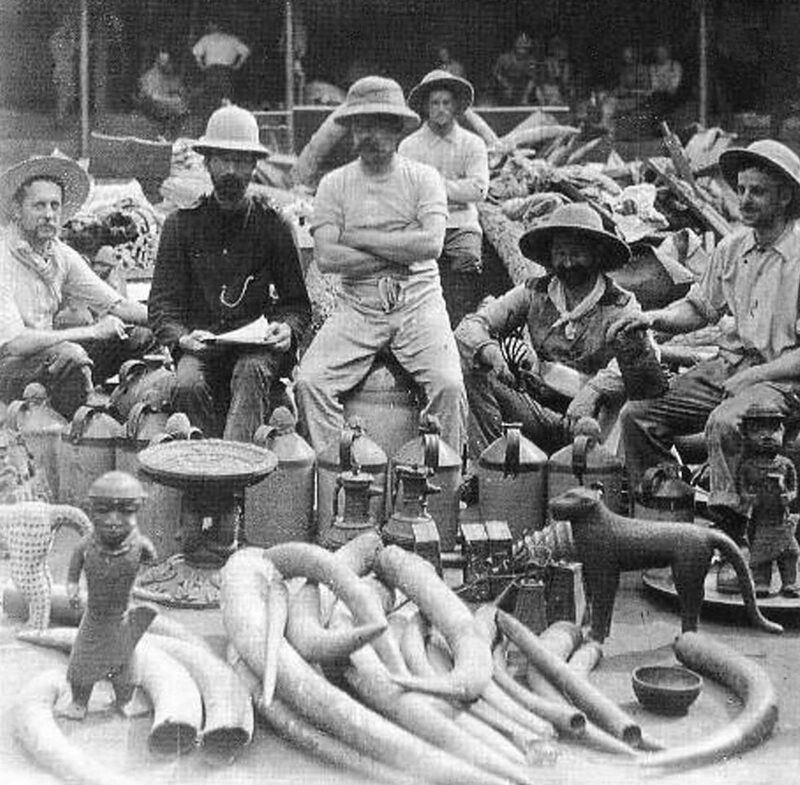 British soldiers pose with art looted from Benin in 1897. | Photo: picture alliance/CPA Media And indeed legally the issue is quite complex. Unlike objects looted by the National Socialists, there is currently no international legal framework like the Washington Declaration voluntarily ratified by a number of countries including Germany. But if terms like looting or dispossession are to be more than just metaphors, we cannot simply ignore the need to evaluate the legal ownership of colonial era artefacts. Neither the 1954 Hague Convention for the Protection of Cultural Property in the Event of Armed Conflict nor the 1970 UNESCO Convention on the Means of Prohibiting and Preventing the Illicit Import, Export and Transfer of Ownership of Cultural Property are useful here, since they do not include retroactive legal redress. Additionally standards were quite different in the 19th century than they are today. As a science, provenance research cannot possibly live up to all the hype. It takes time to assess sources, and even then the conclusions are often ambiguous. Additionally, nowhere near all objects in a museum have a clear, colonial background. Some of the most prominent disputes deal with legal transactions in times of peace, which makes it unlikely that we will see any movement in the controversy around Nefertiti, an Egyptian bust on display on Berlin’s Museum Island, or on the Elgin Marbles, marble sculptures from the Acropolis of Athens currently on display in London’s British Museum. 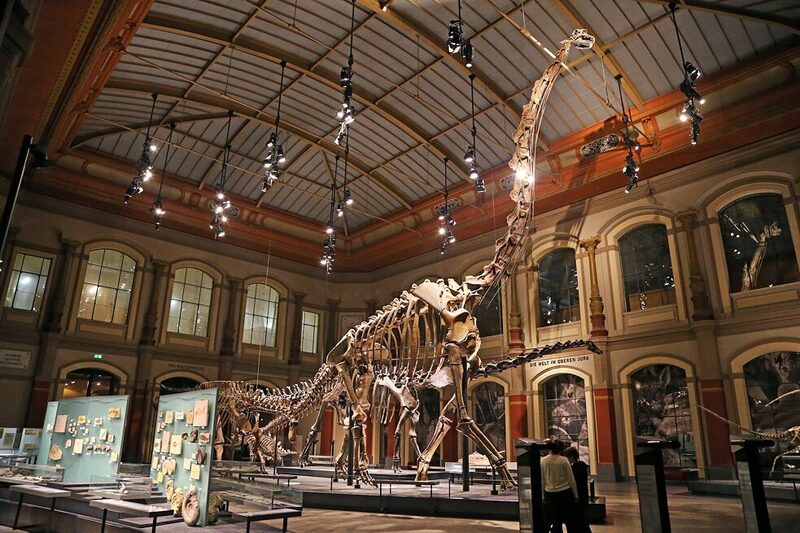 An impressive 13 metres tall, the skeleton of a brachiosaurus from former German East Africa on exhibit in the Museum for Natural History in East Berlin is the largest dinosaur skeleton on display in the world today and a visitor magnet. | Photo: picture alliance/dpa/Siegfried Sammer After more than one hundred years, the objects in question have become part of a shared past, and many of the disputes can be viewed through more than one lens. As such, restitution as an instrument, as an apparently universal form of reparations, should be viewed with scepticism. The dispute around the dinosaur bones taken to Berlin from former German East Africa between 1909 and 1913 took an interesting turn and might serve as an example of a positive way forward. At a May 2018 press conference with his German counterpart Heiko Maas, Tanzania’s foreign minister waived demands for restitution and instead called for positive cooperation between the two countries going forward. Christoph Schmälzle is an art historian and journalist. He writes and researches on a variety of topics, inlcuding performance strategies in museums and national “cultural heros”. Copyright: Text: Goethe-Institut, Christoph Schmälzle. This work is licensed under a Creative Commons Attribution – Share Alike 3.0 Germany license.